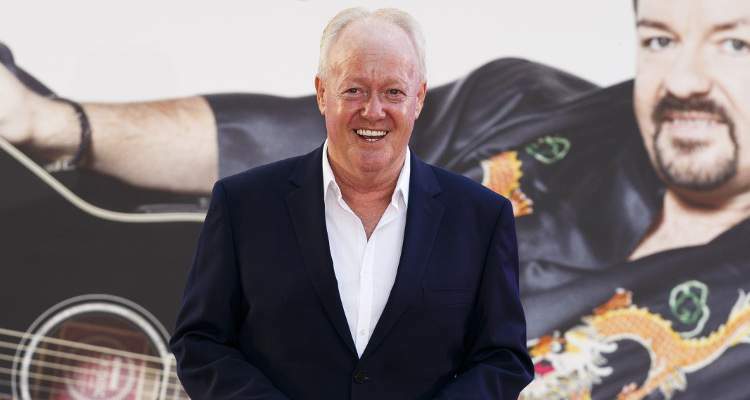 TV presenter Keith Chegwin died on Monday night surrounded by his second wife, Maria Anne Chegwin and kids, Rose and Ted Chegwin. Chegwin was a renowned name in the ’70s entertainment industry for appearing on many famous British children’s shows. So, it comes as no surprise that Keith Chegwin’s net worth is estimated at $6.0 million. Read on to learn more about his life and legacy. Keith Chegwin was born on January 17, 1957, in Walton, Liverpool. At a very young age, Chegwin was inclined towards acting. So, to further pursue his passion, Chegwin, along with his twin brother, Jeff, attended stage school. Initially, Chegwin started off by taking part in the end-of-the-pier talent contest in Rhyl, North Wales. Chegwin also has an older sister, DJ Janice Long. Later on, Chegwin became a part of “The Happy Wanderers,” which was a concert party that went to the pubs and clubs of the North West. Phil Collins’ mother, June Collins, noticed his talent and asked him to come to London to give the audition for the stage show, Mame, with Ginger Rogers. While he was studying at the school, Chegwin took part in several auditions and landed roles in movies, stage, and TV shows. Chegwin is known for his role in Roman Polanski’s film Macbeth, and he has also appeared in other movies like The Troublesome Double, Egghead’s Robot, and The Optimists of Nine Elms. Chegwin’s TV shows include The Liver Birds, My Old Man, Z-Cars, The Adventures of Black Beauty, Village Hall, and The Wackers. Besides appearing in movies and TV shows, Chegwin has also appeared in TV advertisements for various products such as Ready Brek, Pepsi, Tizer, Cadbury Creme Eggs, and Toffos. Chegwin also tried his hand at singing. He released a few singles on the Pye Records label. Additionally, Chegwin was also a disc jockey for 194 Radio City in Liverpool. For almost four years, Chegwin worked at BBC Radio 1 on Tony Blackburn’s weekend morning show. In the mid-‘70s, Chegwin’s diverted his attention from acting and focused on hosting various programs. He became a household name, and throughout his career, Chegwin hosted several shows such as Multi-Coloured Swap Shop, Cheggers Plays Pop, Saturday Superstore, Sky Star Search, It’s a Knockout, and Naked Jungle. Moreover, Chegwin was the host of the BAFTA television and film industry awards in 2015. He also started his own website, Cheggersbingo. For his brilliant work in 2012, Chegwin was awarded the Lifetime Achievement Award at the National Reality TV Awards. In 2014, Chegwin was one of the contestants on BBC1’s Pointless Celebrities show. And, he was a part of season 15 of Celebrity Big Brother in 2015. He was the fourth last guy to get eliminated. Initially, Chegwin was supposed to take part in season 7 of Dancing on Ice, but he had to withdraw from the show because he broke three ribs and fractured his shoulder on his first day of training. Ultimately, Chegwin appeared on season 8 of Dancing on Ice. His partner on the show was Olga Sharutenko. However, he was eliminated and placed seventh. In 1982, Chegwin walked down the aisle with presenter, Maggie Philbin. Chegwin and Philbin have a daughter together named Rose. But their marriage resulted in a divorce in 1993. Chegwin then married Maria Anne Fielden in 2000. They have a son together named Ted. Chegwin died at the age of 60 following a long battle with a lung disease known as idiopathic pulmonary fibrosis, according to sources. He passed away on Monday surrounded by his kids, Rose and Ted Chegwin. His family disclosed that Chegwin was gravely ill for around six months. Many people took to social media to express their disappointment and sadness over the death of Keith Chegwin. He was truly a beloved celebrity. May his soul rest in peace.